Orlando White’s second book of poetry deals with the origins and power of the typographical sign. Even if “objects / contribute for them,” as Orlando White notes, the letters of language constitute the signal human mark. It is by “letter conductivity” that we have inscribed a long history of ourselves. In combinations of ekphrasis, meditation, and imaginative play, Orlando opens his poetic field to the typographical sign. 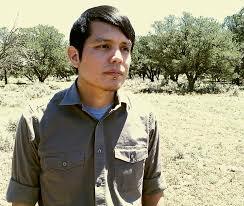 As a Diné of the Naaneesht’ézhi Tábaahí, he initiates a poetic trajectory in this, his second remarkable book, that cuts across the roots of what we call American culture when, for instance, he asks “how does a letter become another when its origin is lost?” LETTERRS is his complex ars poetica, a book of love poems to the grapheme and “its outbreak of silence.” But it is also a provocative and systemic reorientation of language toward ritual, toward “bone-shaped artifacts,” and the “notochord of thought.” In LETTERRS, Orlando White situates the word at the unsettled beginning of human dialogue with the world. 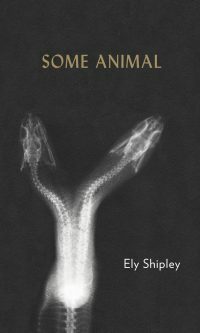 These poems arise from the fecundity and limits of language’s building blocks, living intimately inside each minute contour of the letter, where we find the collagen and cochlea of thought, the stuff of language arising from our very bones. It is the matter whence we are made, and where we ossify, making “proofs of [our] own cultural sentience.” Language is playful and dangerous, and these poems know equally its pleasures and threats. What White does, beautifully, is scrape at the bone of the word to unclothe it, uncolor it, make it naked and stand before us, vulnerable and new. 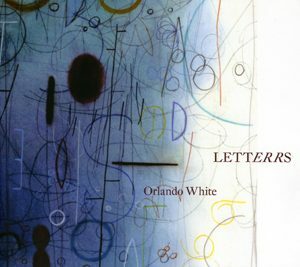 Orlando White’s second collection of poetry, LETTERRS, moves us across the fertile white of the page. When I read White’s work, I see the page pollinated. The letters, like stalks, rain down the fine pollen of linguistics, ignite the silks of sound that “breathe and coo.” We move through the furrows of letters in zigzag flagella and glottal stops. White’s book is a field ripe with semantics, sound, and silence. LETTERRS reminds its readers of its own physicality and binary existence as meaning-making art and physical object, just as humans work within their own body/soul dynamic. LETTERRS is a strange, complex work that breaks open our given contemporary understanding of written communication and forces its readers to reconceptualise language’s whole shebang. In this brilliant second book, LETTERRS, Diné poet Orlando White takes space, sound, and silence into the very page. He investigates a vocabulary of linguistics and orality, creating a tension between the two. Take the first poem, “Nascent” where the word ‘plash’ appears. “It’s a plash on/parchment sheet.” So we have the plash sound and then the “parchment” sound. Plash means ‘a light splash or the splashing sound.’ A water sound, cut short by the parchment, that is, the sound is cut into silence when it is put on parchment. Or, is it? This is a book about what poetry can do. In some ways, it is an ars poetica, a poem about poetry. Yet, it is that and more. As John Coltrane tried to do, White seems to move the sentence in both directions at once. And, if language is homeland as Milosz feels, what is landscape? Orlando grew up in Sweetwater, Arizona. Vast tracks of land, and quiet. Wide and deep quiet. His mother was a weaver, and so he heard the weave and woof of the shuttle day in and day out. In fact, the length of wool would become a line of length for his poetry. And of course, his own language. Diné Bizaad. One cannot force Native poetry into generic classifications. 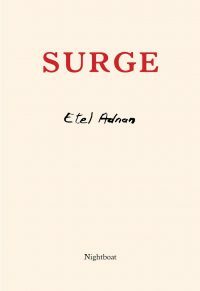 It spills over into the margins, making the luminal central, asserts Dean Rader in his book, Engaged Resistance. Rader believes almost every Native poet practices some sort of compositional resistance, either through line breaks, capitalization, closure, and fragmentation. Orlando has engaged what poet Charles Olsen termed Projective Verse – Poems as energy on the page, a field of energy. The breath being the guide, written as music, in breath phrases, that rather than relying on received forms, even imagery, metaphor, and the ego. Rather than an inanimate, White’s idea is to make the word animate. From his first language, Diné Bizaad, “things are animate”—for example, the word for computer is “metal is thinking” and this book among the many, many things it is, is an overlapping of language, multi-vocal Diné Bizaad, English, and Latin, and multi -ways of thinking…. Veronica Golos: It seems to me that with LETTERRS, you are doing two things at once: paring English down to its symbols, sounds and shapes, and, at the same time opening and doubling meaning through a vocabulary of linguistics. Orlando White: For me, part of the book is about the peculiarity of a word, what it looks like on a page, and what it sounds like. For example, aposiopesis. On the page, it looks funny; when we first see it, we think, how do I pronounce this? Pronunciation here, and in many cases, is also apo-sentient, pronounced in two different ways. Or like anaphoric. It looks strange, so we sound it out. 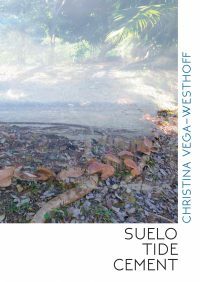 VG: It also seems to me that you “force,” or encourage the reader to go on a similar experience or journey you have done as they read these poems, because the poems generate an underlying experience the writer has had with language. OW: In my first book, Bone Light, I never used the dictionary and used a limited amount of words. In LETTERRS, I used the dictionary and thesaurus extensively, searching for words that created some sort of experience through its meanings, in which you would go on some etymological journey. But, at the same time along the way I discovered how a word was pronounced, because sound is much more intriguing. VG: Your work took me to the dictionary and thesaurus and google, and there were words within words! Perspicacity, analphabetic, ogonek, soma, ictus, skirr, glisters, circumflex, excursus or ogive, which means: “a diagonal rib in a gothic vault; an arch that rises to a sharp point, and a graph that represents the cumulative frequencies of a set of values.” How many meanings can one cull from one word? Oh, and stipple! I loved that word. I would like to talk about the poem that opens LETTERRS; the “Nascent” poem, which riveted me. It feels to be both an emersion—a feeling of words rising out of the page, as if they are our original words plucked out of chaos—and, at the same time, an immersion, words that dunk us into primal sound and sensibility. OW: First there is sound, the origin-sound and in LETTERRS it begins with “Nascent.” And at the beginning of Bone Light as well, “underneath sound there is thought”: it’s the white spaces of the page that allow print, text to animate, exist, as first sounds. I think that when one is speaking—literally you can’t see the words visually, so in order to see it, we have to print it on a surface. I think there’s a moment in which sound is the origin…sound is the first word. VG: In “Nascent,” you write: “…procreation to circumflex: Díí, these // pitches of stress these flares over letters//hover, keep in place the strained origin in speech…” Could you speak about the use of Diné Bizaad? OW: Enunciation, pronunciation are important, especially in Diné Bizaad. Visually on the page, what represents sound in our language are the diacritical marks. So, on the page, the visual sound, and the origin of language on the page is those marks. Accordingly, in LETTERRS I try to enact that experience of a Diné word which Díí is an example. My thinking behind it is the mark on the page really defines, creates an experience too—that there’s also a specific language connected to a specific people. And so we enter Orlando White’s meditative, intelligent, and echoing second book, LETTERRS, both a collection of unsettling silence and precise clangor. As a shift from his first book, Bone Light (Red Hen Press, 2009), White moves from the examination of thought to the philosophical relationship between print and sound. 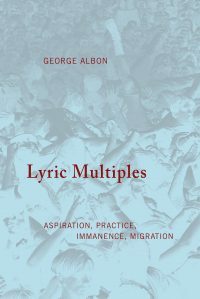 Within the utterance and inscription of a letter, LETTERRS advances what a poem does in its own tightening—that is, how a poem resists, subverts, and fragments so-called tradition. We begin with “Nascent,” a long poem playing out a woven origin between sound and flesh. White possesses an incredible, deft hand in setting a word with amplified effect. We find ourselves in the clocklike uterus of the poem’s process—a slowed down act of creation. At each break, at each movement of language, we throb into rhythm, weighted, layered, wrapped in meanings that propagates at a velocity maintained by the page. His opening poem carves out a trajectory like a wavelet of sound escaping the lips and pervading the air. Books about reading inspire contradictory emotions: the subject is powerful because reading is a flow-inducing, identity-challenging experience; conversely, the strategy can suggest a too-desperate argument by writers for their own relevance, distancing art from first-hand pains and pleasures. Orlando White’s LETTERRS isn’t exactly about reading. He’s obsessed, instead, with language at the cellular level—how readers interact with typographical symbols—but his book triggers the same ambivalence. Its urgency gratifies; its inwardness sometimes leaves me hungry. “Nascent,” an ecstatic nine-page poem, opens the book with a search for origins across the visual field of its extra-wide pages. Playful English diction sparks against the diacritical marks of Diné Bizaad, suggesting productive identity frictions latent in print. We are nourished, as White writes elsewhere, by “paper milk.” Yet the way print fixes experience runs counter to life’s fluidity: each letter entraps an “outbreak of silence.” Attracted by these questions, I still couldn’t engage with some of the book’s most abstract passages. The poems I love in LETTERRS use visceral metaphors to emphasize the politics of reading. “Unwritten,” for example, conjures archaeological violation, readers digging out the “tiny white cranium” of the letter O from its original burial place. Here, White uncovers the stakes of his enterprise: how does one reconcile love of the grapheme with knowledge of its damaging, empowering.